Cloud computing and storage, in it’s most basic definition, is storing and accessing data and programs over the internet instead of your computer’s hard drive. The cloud is just another term for the Internet. When you store data on, or run programs from your computer’s hard drive, it is called local storage and computing. Everything you need is physically on your computer, or the other computers on your local network, if you are connected to a network. For years this is the only way the computer industry functioned. You would either purchase your computer preloaded with software, or you would purchase what additional programs you needed and then download them to your computer. All of your work would be created on and saved on that computer to be shared by an external disk or drive when you needed to. This would also raise the issue that if you were sharing files with someone, they needed to have the same software program and series to even view the files. To be considered “cloud computing” you need to access your data or programs over the Internet, or at least have your data synchronized with other information over the Web. It’s surprising, the extent of massive data-processing that is going on at the other end of your connection. The end result is that, with an Internet connection, cloud computing can be done anywhere and at anytime. This is how cloud computing operates in regards to individual consumers. People who use the Internet for personal use or to run a small to medium sized business. The cloud, in regards to large businesses is completely different. Some businesses use Software-as-a-Service (SaaS), which is when a business subscribes to an application it uses over the Internet. There is also Platform-as-a-Service (PaaS), where a business can create its own custom applications for use by everyone in the company. And finally, Infrastructure-as-a-Service (IaaS), where major tech companies provide infrastructure that can be rented by other companies. Cloud computing is a big business. Statistics show that 80 percent of the large companies in North America are either considering using cloud services or already are. The market is expected to make $100 billion a year. 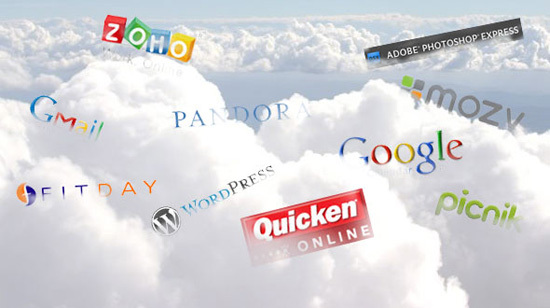 Google Drive is a cloud only computing service, with all the apps and storage found online. Drive can also be used on devices other than desktop computers alone. You can use it on tablets or on smartphones. Actually all of Google’s services can be considered cloud computing. The Apple iCloud service is primarily used for online storage and synchronization of your mail, contacts, calendar, and more. All of this information is available on your iOS, Mac OS or Windows device. Amazon Cloud Drive is mainly used for music MP3s you purchase from them. Services like Box, Dropbox and SugarSync store a synchronized version of your files online, they will also sync those files with your local storage. The main purpose for cloud computing and storage is to be able to synchronize all of your data with all of the devices you use, even if you access the file locally. It also means that several people can sync the same data to their devices, the result is everyone has the same version of data available to them on their own device whenever they need it. The original concept of cloud computing can be traced back to the 1950s, when large-scale mainframe computers became available in education and corporations. These were accessed by terminal computers, which were often called “dumb terminals”, because they were only used for communication and had no internal processing capabilities. To make the use of the costly mainframes more efficient, a practice was created that allowed multiple users to share both the physical access to the computer from multiple terminals and also share the CPU time. This practice called “time-sharing”, put an end to periods of inactivity on the mainframe and allowed for a greater return on the investment. Amazon played a key role in the development of cloud computing by modernizing their data centers after the dot-com bubble. Like most computer networks, they were using as little as 10% of their capacity at any one time, to leave room for occasional spikes. They found that the new cloud architecture resulted in a large increase in internal efficiency improvements that small teams could add new features faster and easier. Amazon launched a new product development effort to provide cloud computing to external customers which they called Amazon Web Services (AWS) on a utility computing basis in 2006. Cloud Computing is the result of an evolution and adoption of existing technologies. The cloud is meant to cut costs, and help the users focus on their core business instead of worrying about IT problems.